The Country Music Hall of Fame® and Museum will pay tribute to one of country music’s most versatile and visionary artists, Chet Atkins, with Chet Atkins: Certified Guitar Player, a biographical exhibit opening Friday, August 12, 2011, for a 10-month run in the Museum’s East Gallery. The exhibition, which is made possible through the generous support of the Gretsch Company with additional support provided by Great American Country Television Network, will run through June 11, 2012. Opening weekend festivities will include an exhibit introduction and talk by a Museum curator; a panel discussion featuring Ray Stevens, Steve Wariner and Billy Edd Wheeler and illustrated with photos, film footage and recordings from the Museum’s Frist Library and Archive; a film screening and more. The exhibit will be accompanied by a richly detailed, lavishly illustrated, 96-page companion book, also titled Chet Atkins: Certified Guitar Player. Published by the Museum’s Country Music Foundation Press, the volume will include essays by noted Atkins authorities Walter Carter (on Chet and his guitars), Michael Cochran (on Chet’s life and career), Rich Kienzle (on Chet’s development and prowess as a guitarist) and Museum Senior Historian John Rumble (on Chet’s work as a producer and record label executive). Also included are tributes to Chet from Tommy Emmanuel, John Knowles, and Steve Wariner, recipients of Chet’s honorary C.G.P. 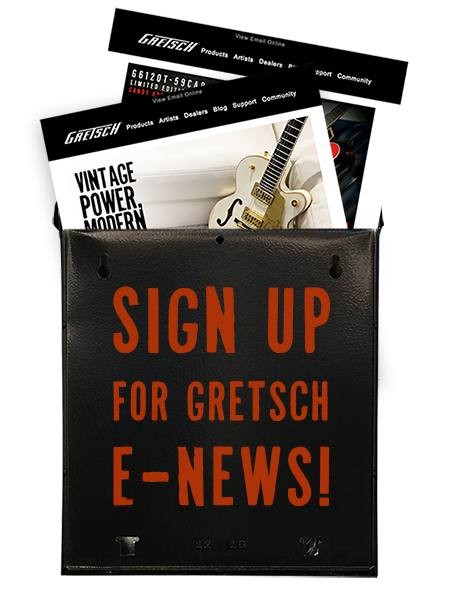 designation; from Mark Pritcher, president of the Chet Atkins Appreciation Society; and from Fred W. Gretsch, president of the Gretsch Company. The book will be available in the Museum Store and at www.countrymusichalloffame.org. “Chet Atkins was country music’s ultimate Renaissance man, one of the greatest instrumentalists in American music history and a true musical savant,” said Museum Director Kyle Young. “His signature guitar licks shaped recordings by scores of legendary artists, including the Everly Brothers, Elvis Presley and Kitty Wells, and his playing influenced future rock gods Duane Eddy, George Harrison, Mark Knopfler and many more. As a producer, Chet was an architect of the ‘Nashville Sound’; he was also a brilliant record executive who signed and propelled a generation of country artists – including Waylon Jennings, Dolly Parton and Charley Pride – to fame. Chet’s guiding hand shaped much of the bedrock of country music, and we’re honored to tell his story, one we know will resonate with country fans old and new. Born Chester Burton Atkins on June 20, 1924, in Luttrell, Tenn., Chet Atkins became one of the most respected musicians and producers in American music history. His unparalleled achievements were acknowledged formally with his 1973 induction into the Country Music Hall of Fame. Atkins died on June 30, 2001, and was posthumously inducted into the Rock and Roll Hall of Fame the following year. Friday, August 12 1:30 p.m.
Saturday, August 13 1:30 p.m.
Ray Stevens, Steve Wariner, Billy Edd Wheeler and others discuss Atkins’ legacy. Sunday, August 14 1:00 p.m.
Sunday, August 14 2:00 p.m.
Sunday, August 21 2:00 p.m.
Saturday, August 27 2:00 p.m.
Tommy Emmanuel, one of a handful of legatees upon whom Atkins bestowed the C.G.P. designation, performs songs from Atkins’ catalog. Sunday, August 28 1:00 p.m.
Sunday, August 28 2:00 p.m.
For more information, visit the Country Music Hall of Fame and Museum website.